Here's another NEW video by CortesNyc and myself. 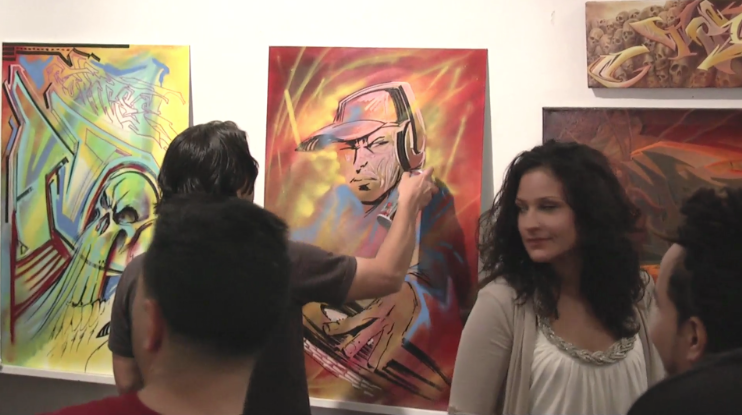 Back in 09' Cortes was asked to paint during a scene of rapper Yeyo's video shoot of "Please Dj". I mentioned the video and shoot in an old blog post titled "Please DJ" (you can check out the official music video by clicking the previous link). I had a blast filming the shoot and I can't forget the guy who helped me out that night big time, John Smalls! He helped me film some really good up high shots.